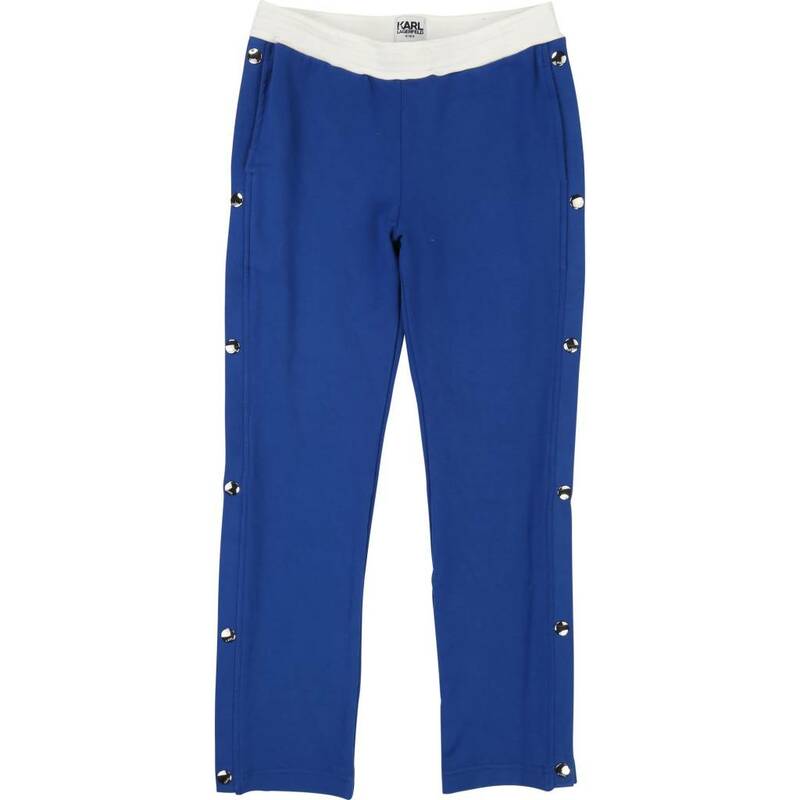 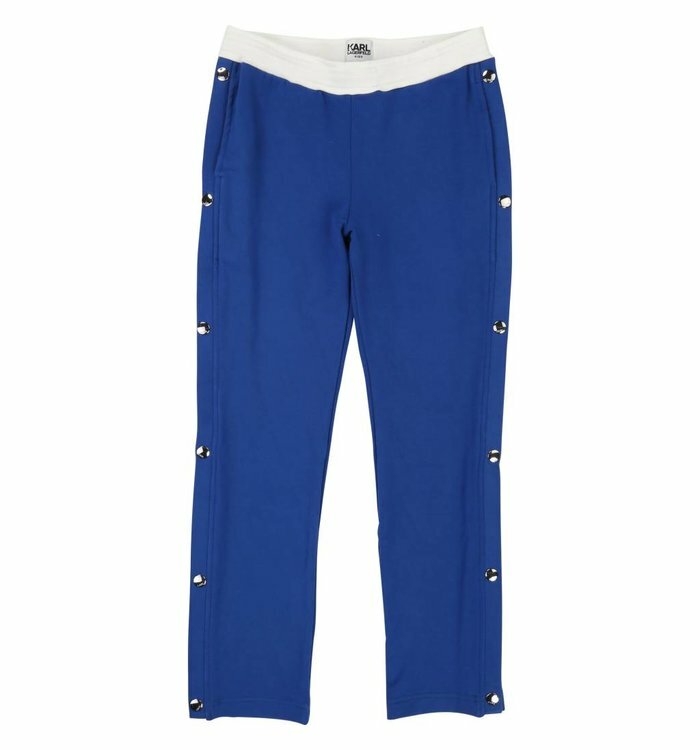 Royal blue cotton pants with silver snap buttons on each side and elastic waistband. 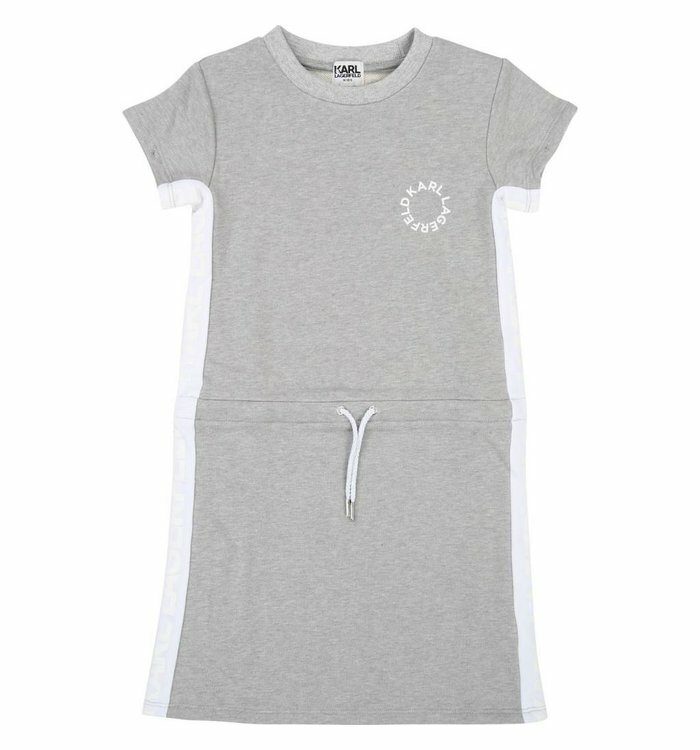 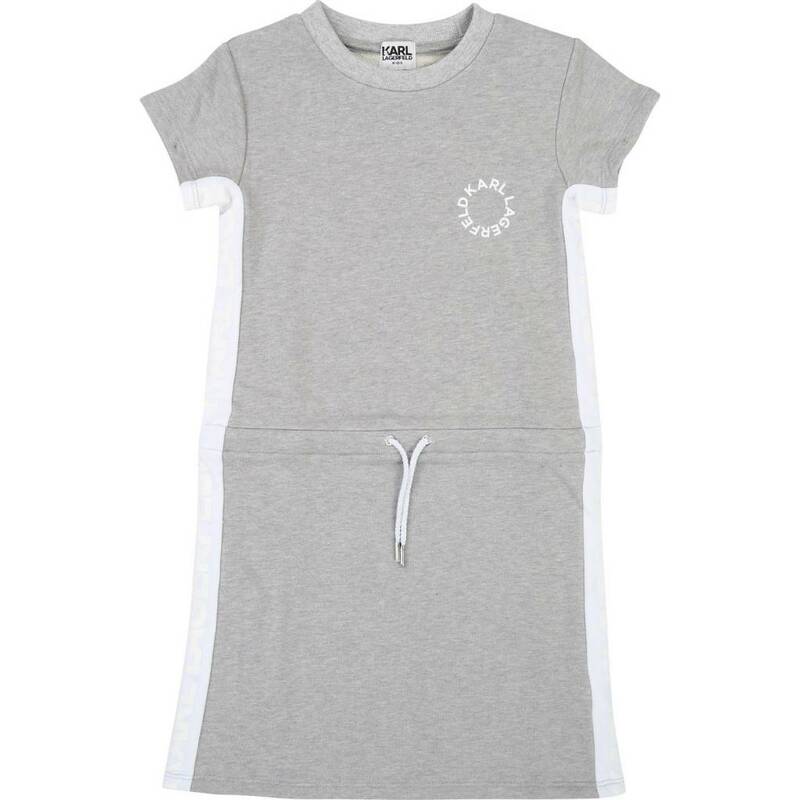 Grey short sleeve dress with white side stripes and laces at the waist. 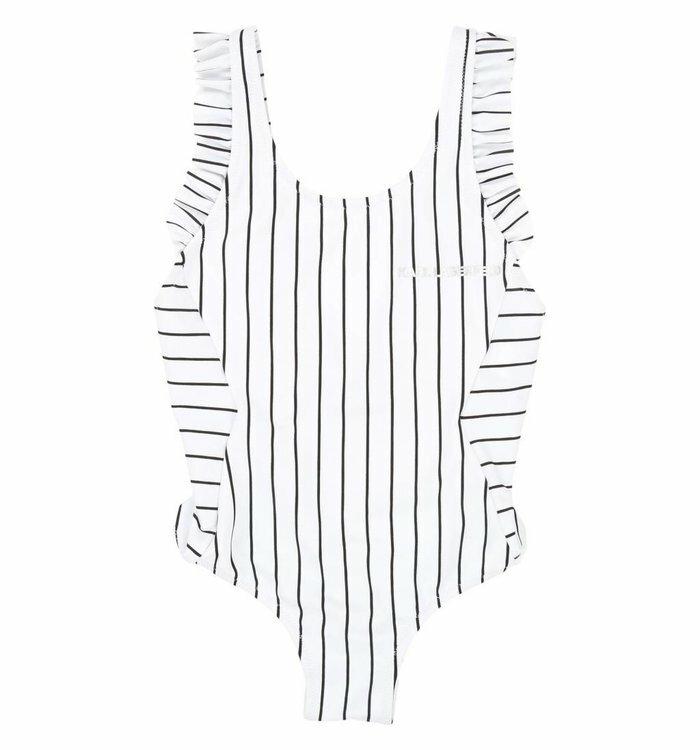 White one piece bathing suit with black stripes and frills. 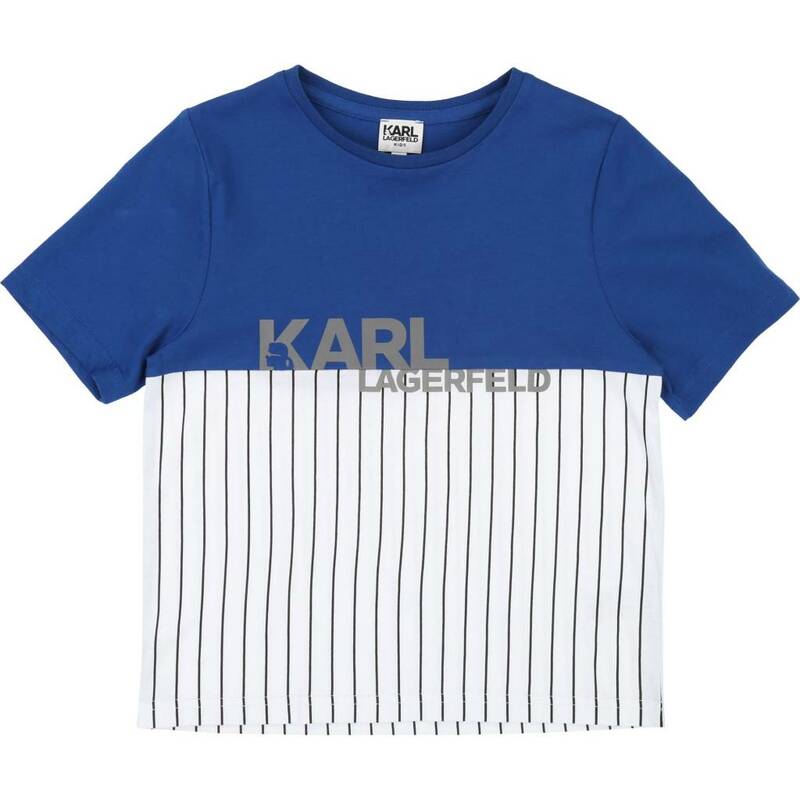 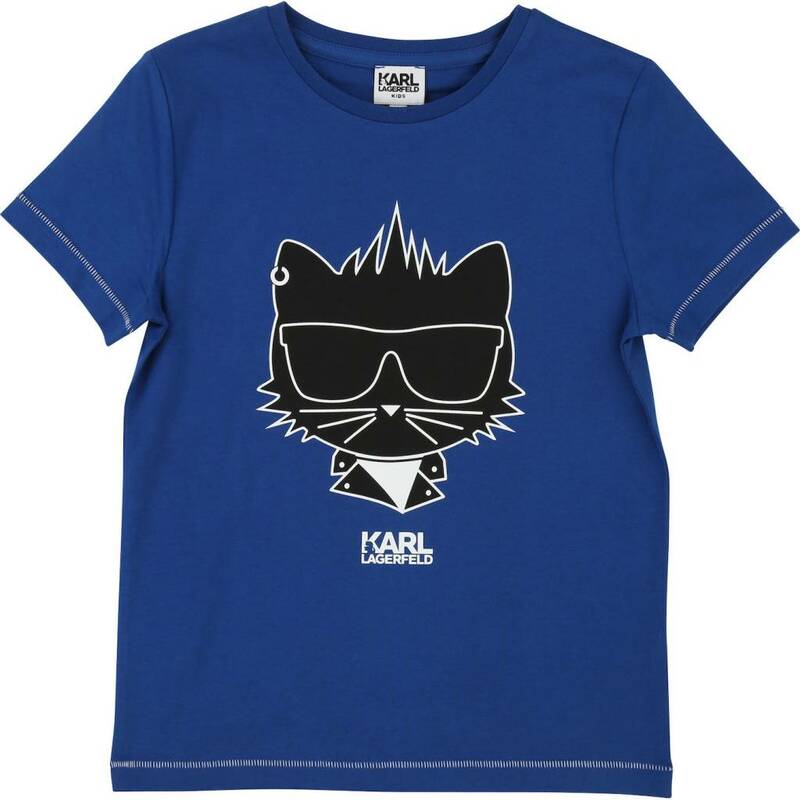 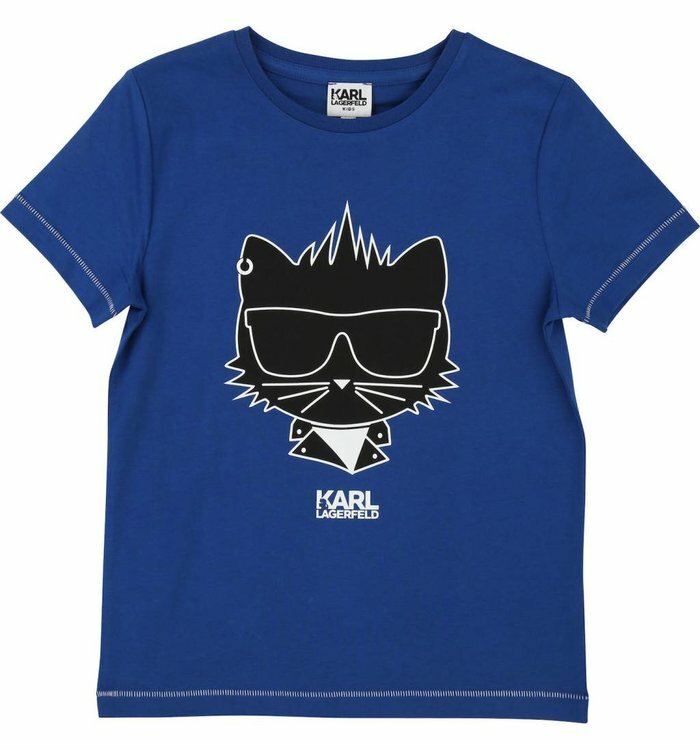 Royal blue and white t-shirt with black stripes and silver imprint. 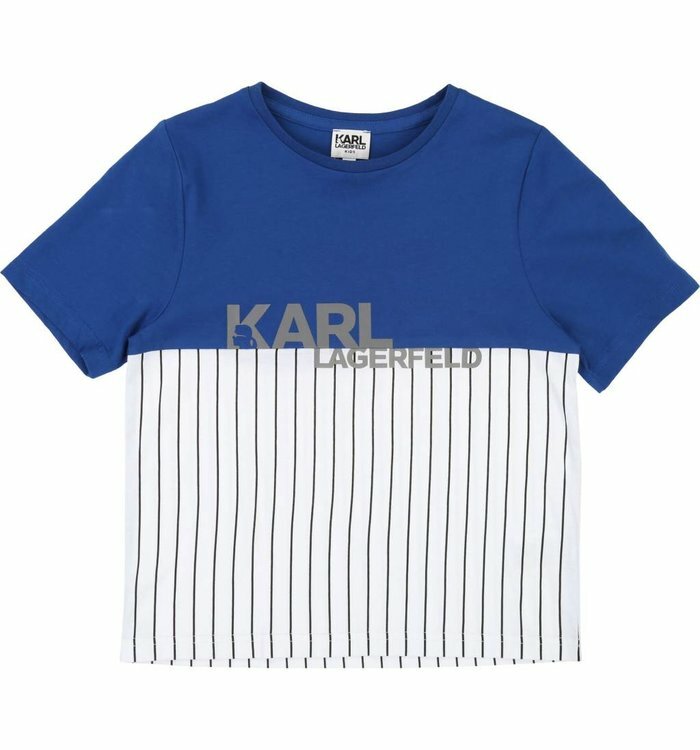 Royal blue t-shirt with black and white imprint. 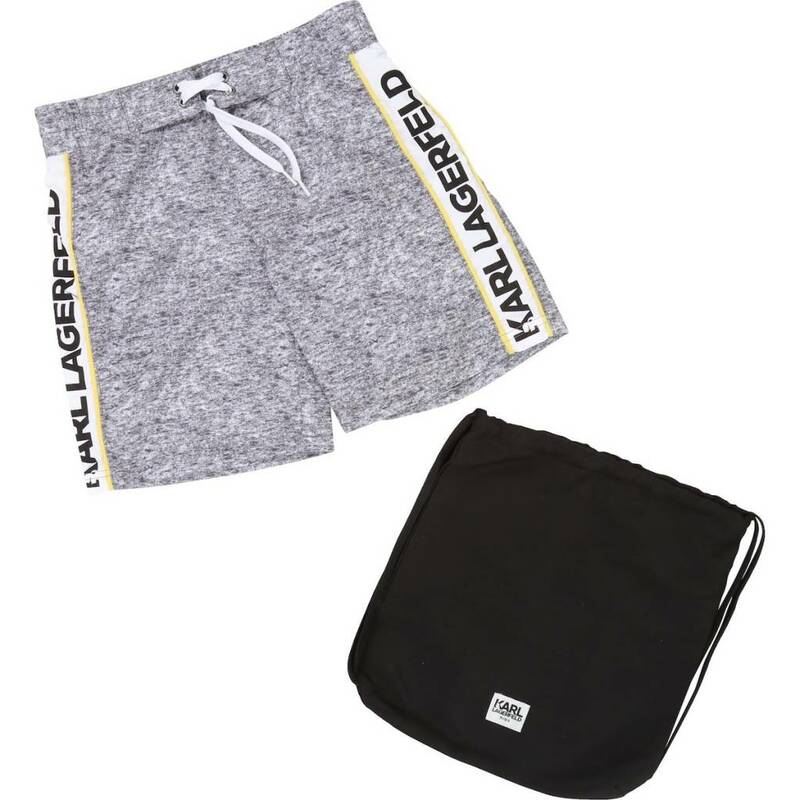 Set including white t-shirt with black imprint and snap buttons at the neck and black shorts with elastic waistband. 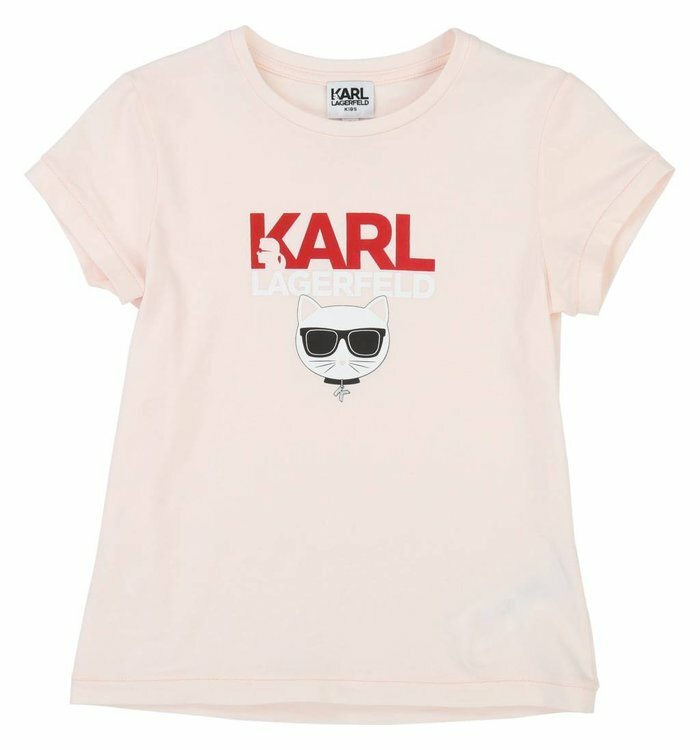 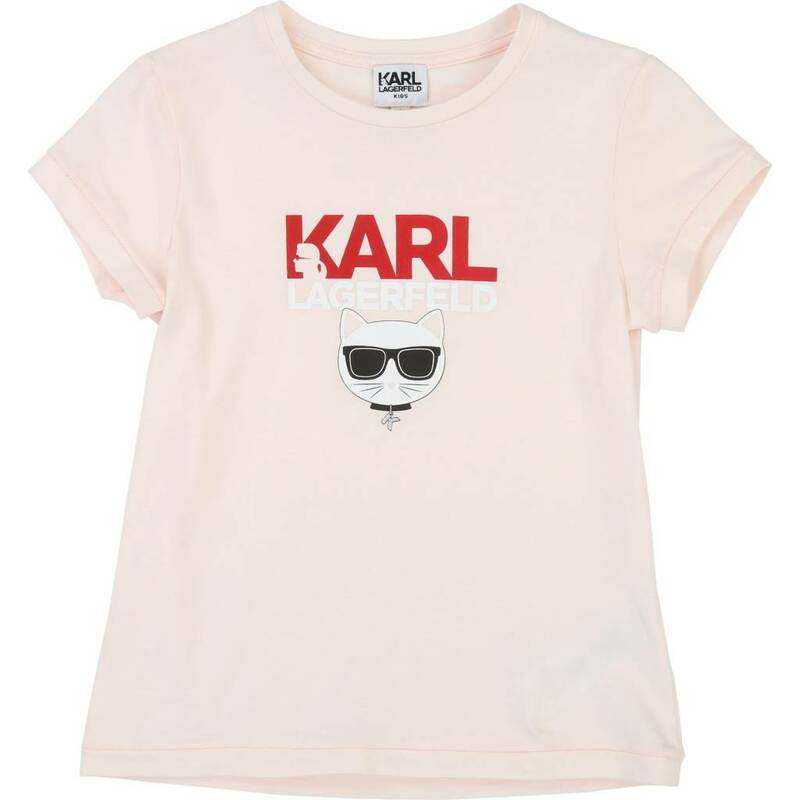 Light pink t-shirt with white and red imprint. 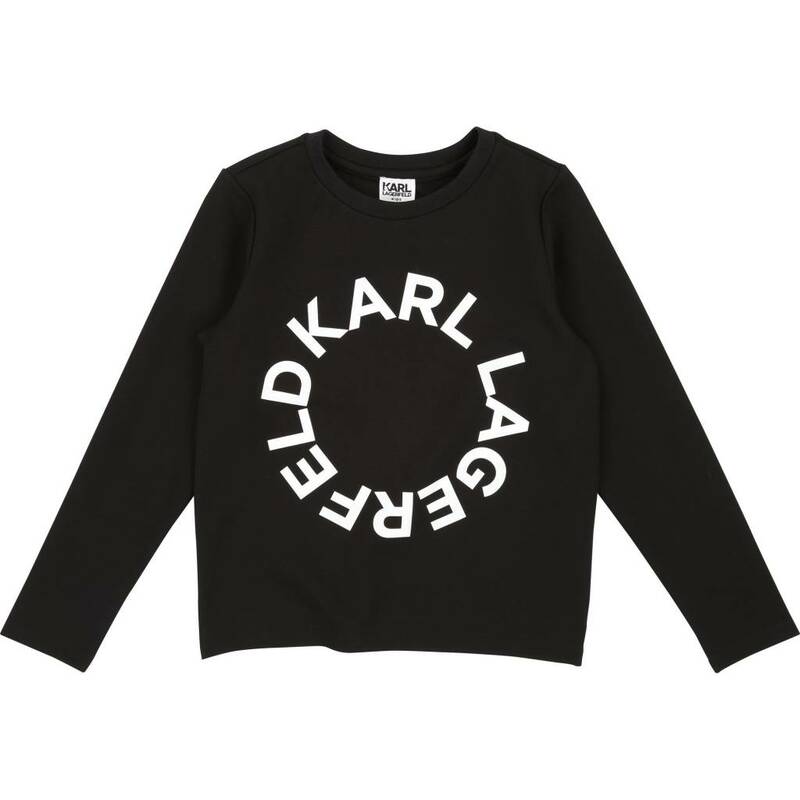 Black long sleeve sweater with white imprint. 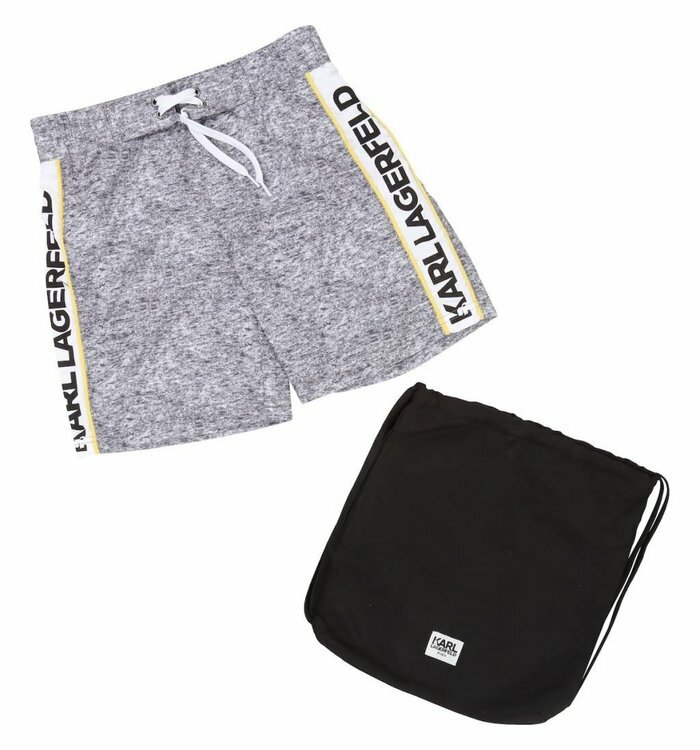 Black shorts with white side stripes and elastic waistband. 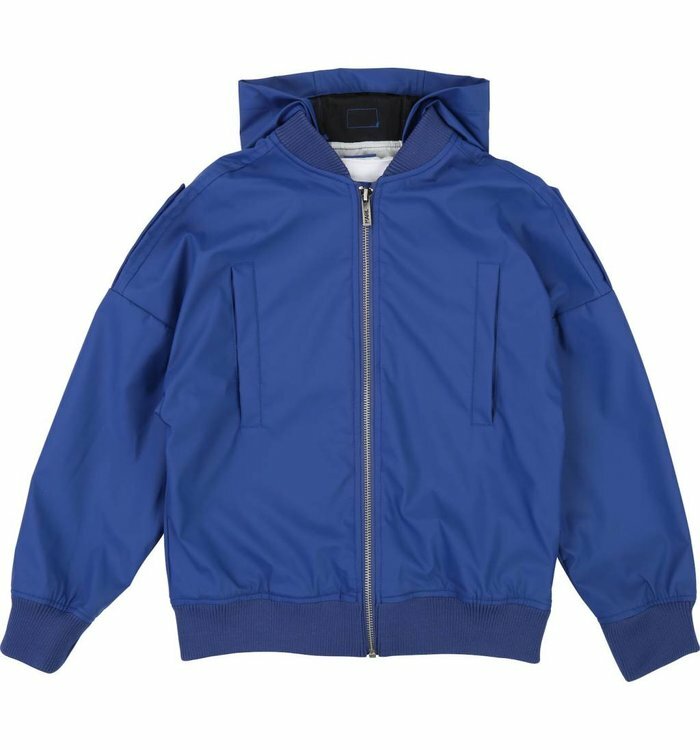 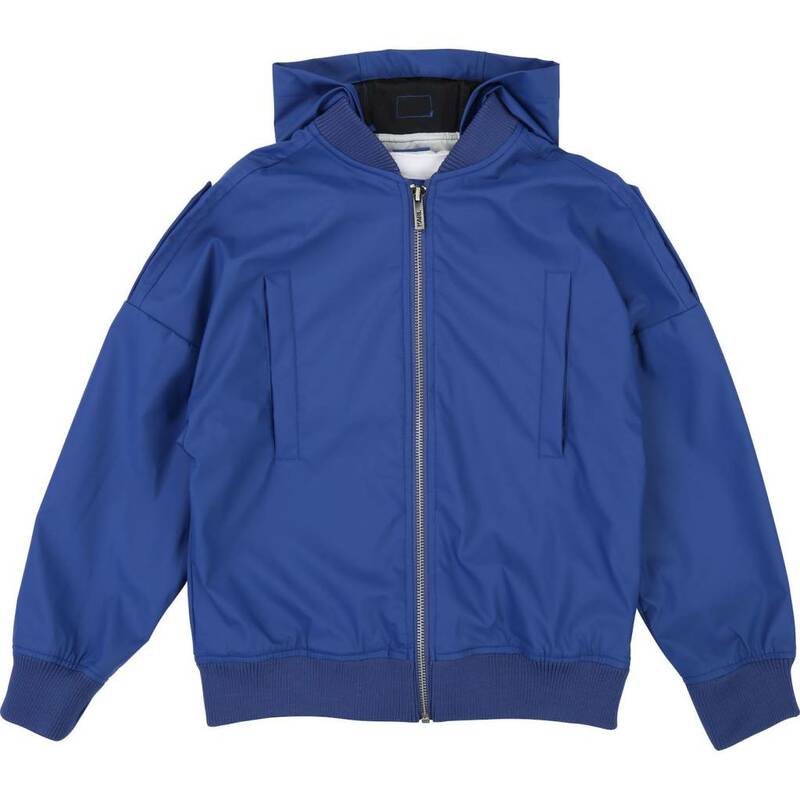 Royal blue waterproof jacket with a removable hood and a zipper on the front. 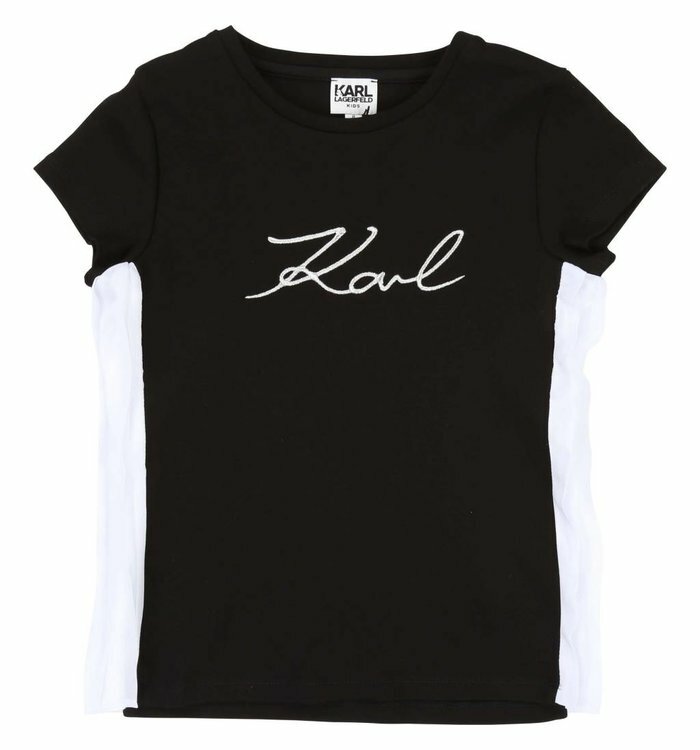 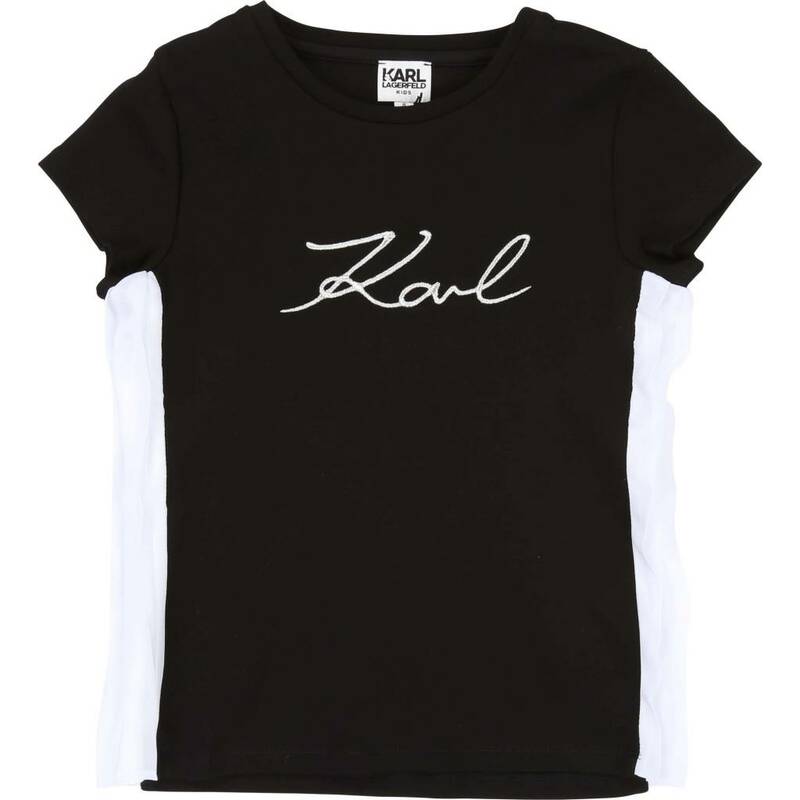 Black t-shirt with white side stripes and silver embroidery. 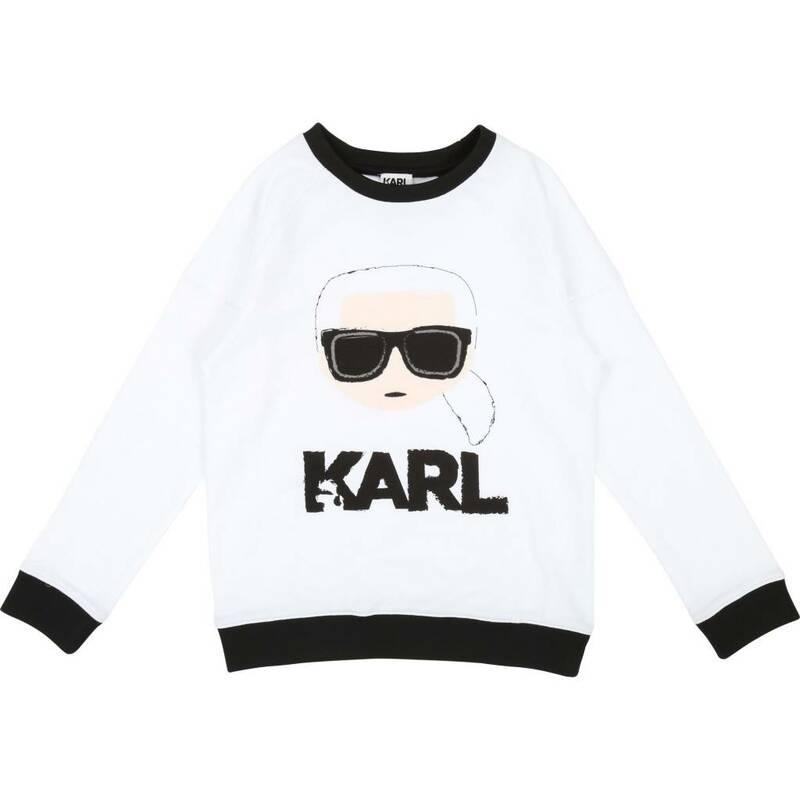 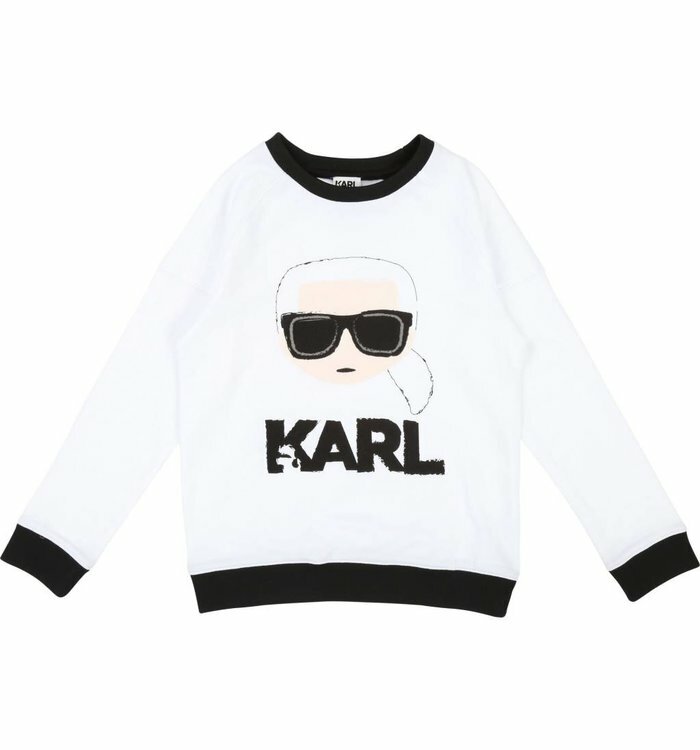 White long sleeve sweater with black imprint. 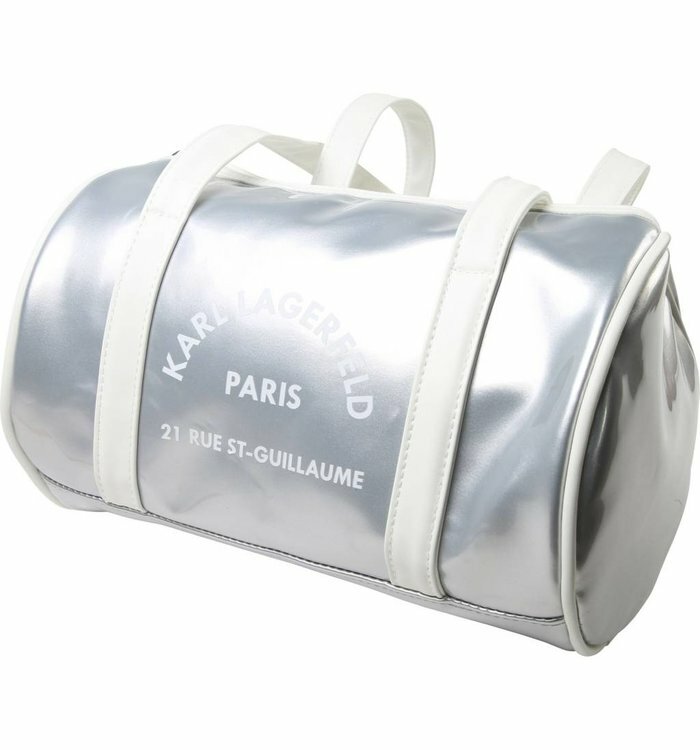 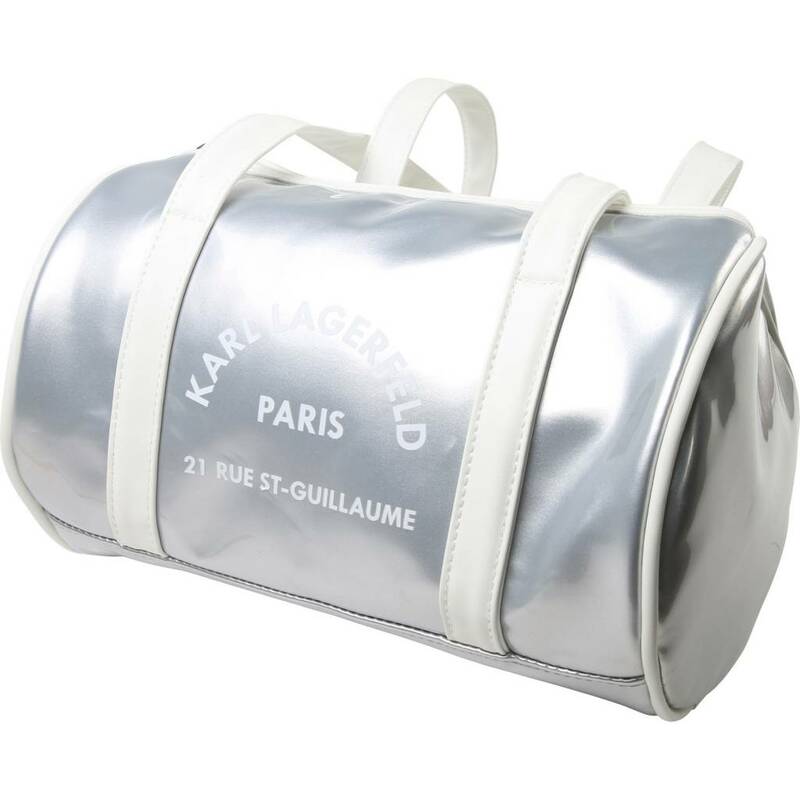 Silver bag with white stripes and a zipper. 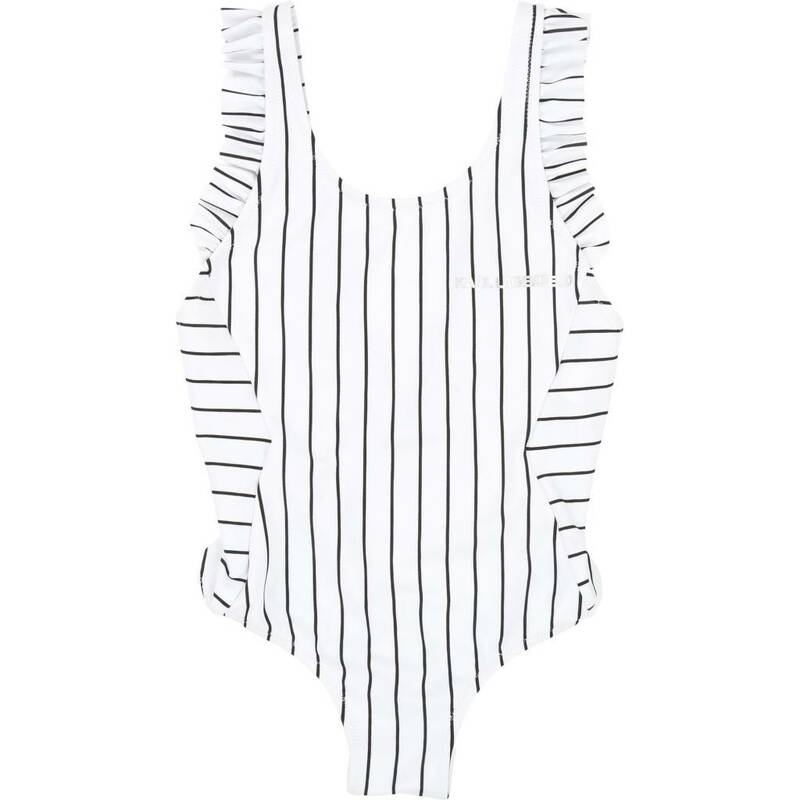 Grey bathing suit shorts with white side stripes and a black bag. 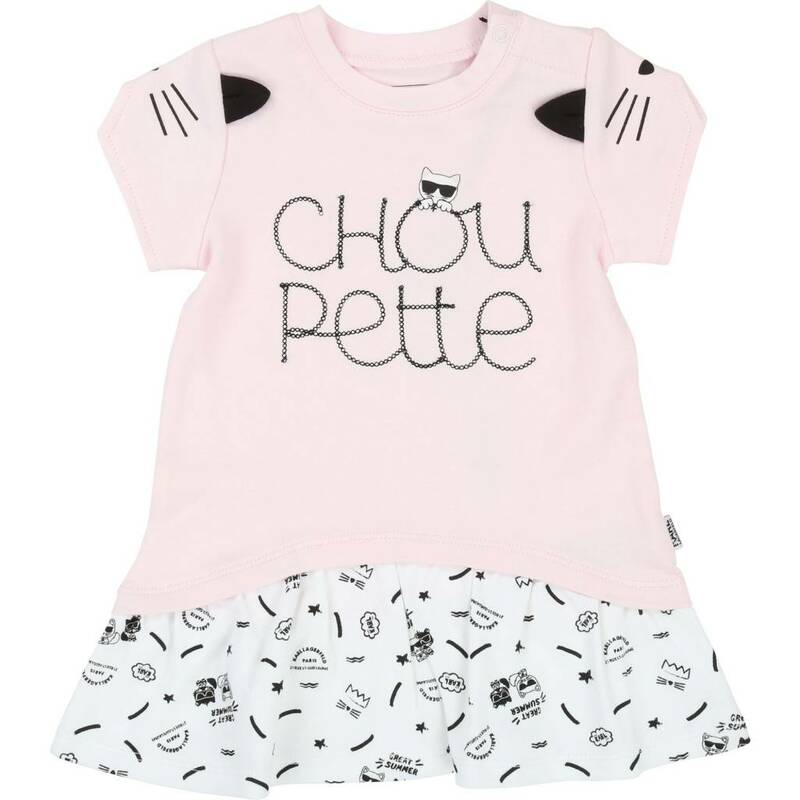 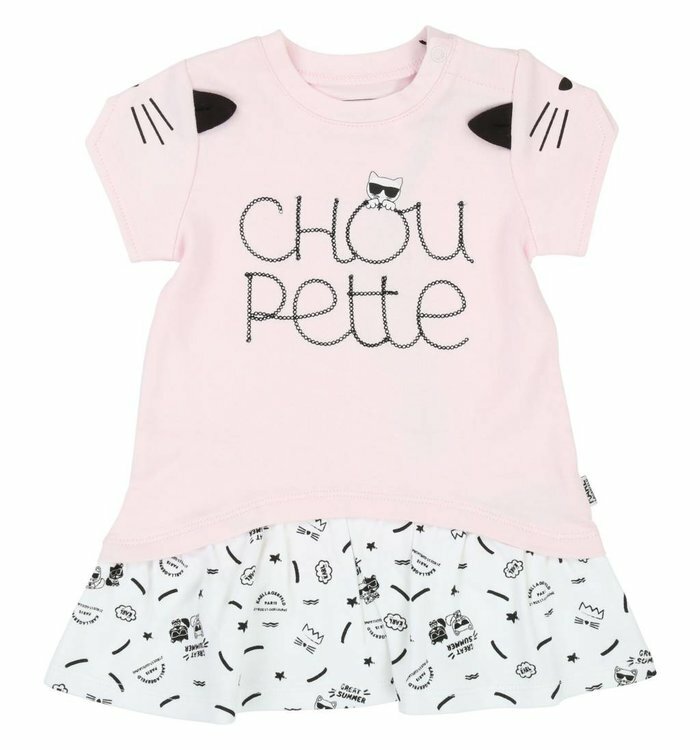 Pink and white short sleeve dress with black imprint and snap buttons at the neck. 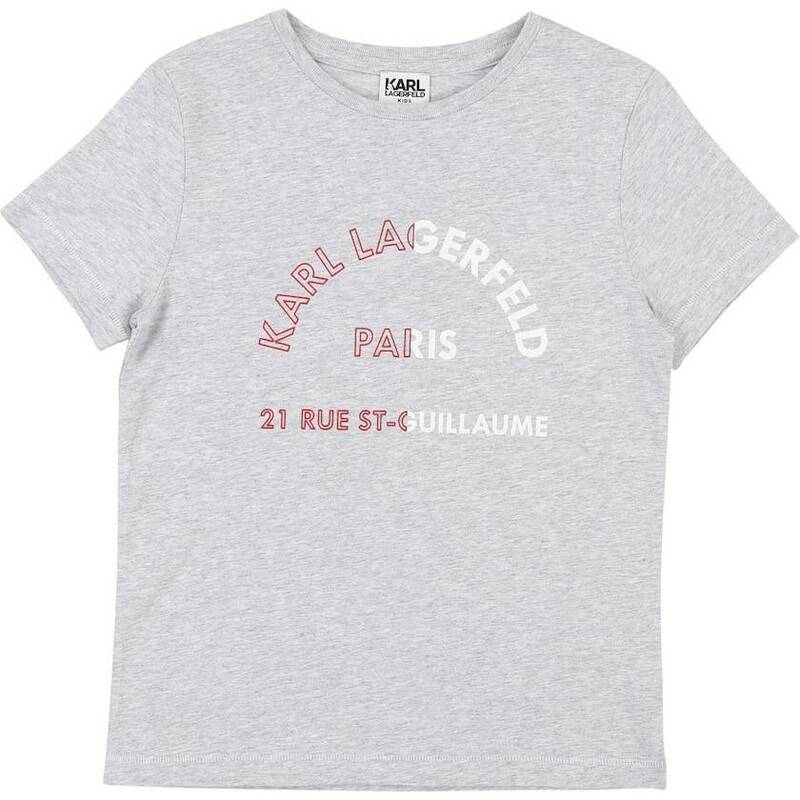 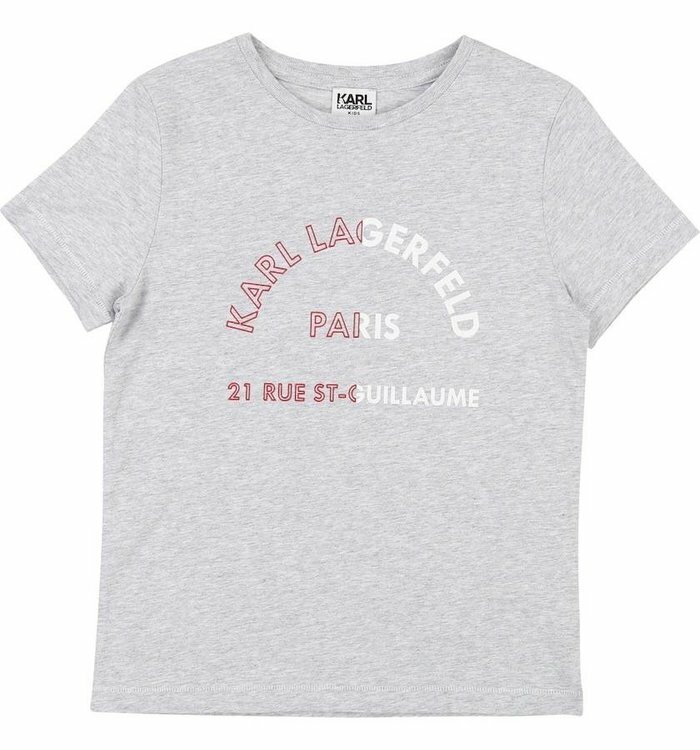 Grey t-shirt with red and white imprint. 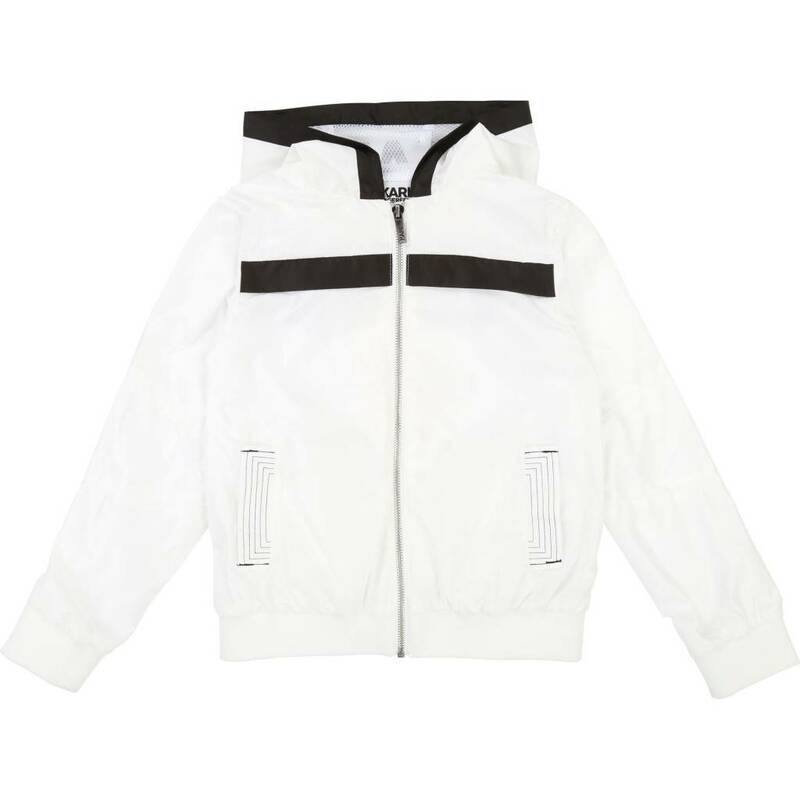 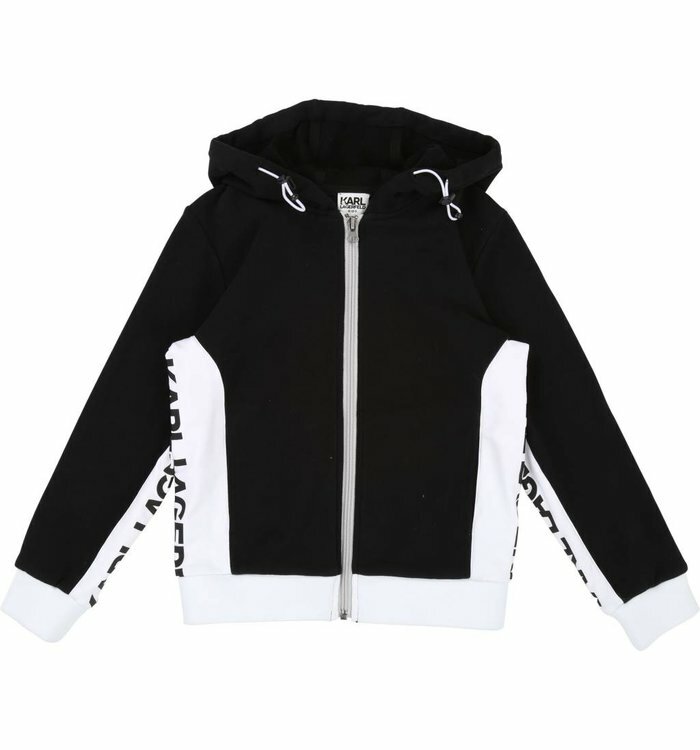 White waterproof jacket with a zipper on the front, pockets and a hood. 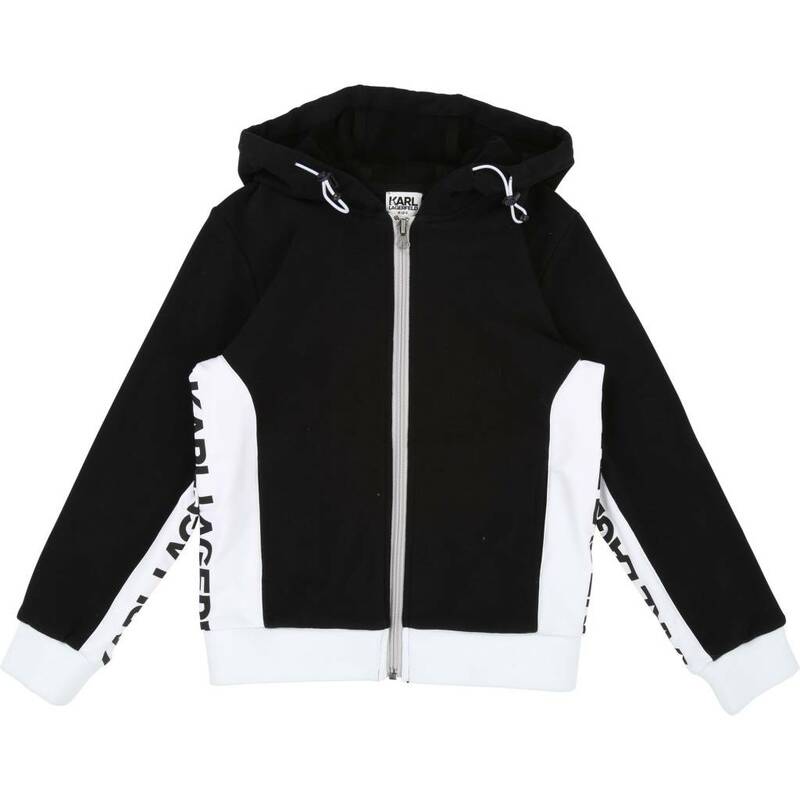 Black long sleeve cardigan with white stripes, a hood and a zipper on the front. 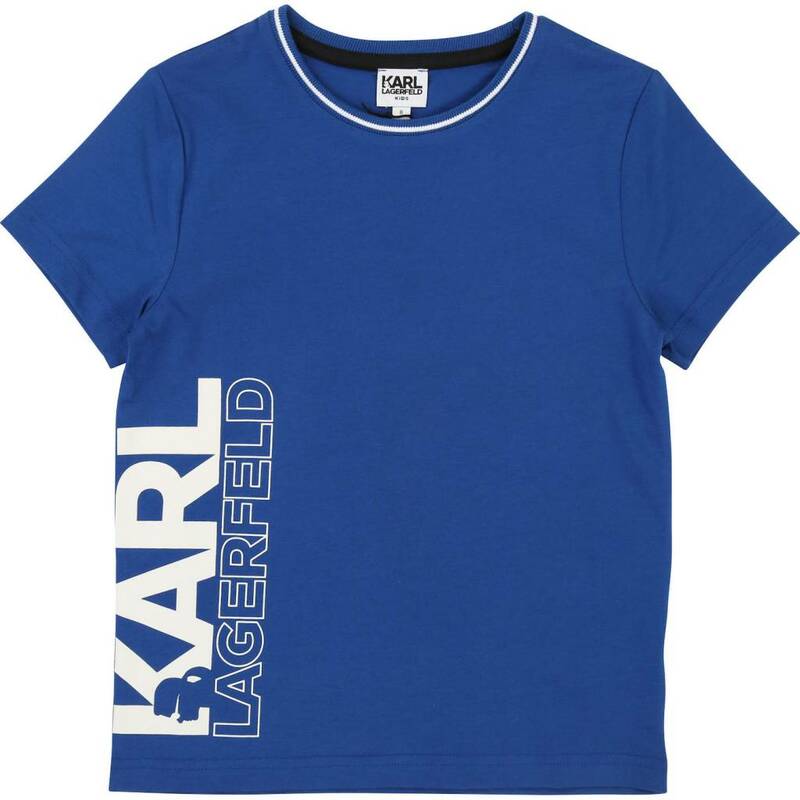 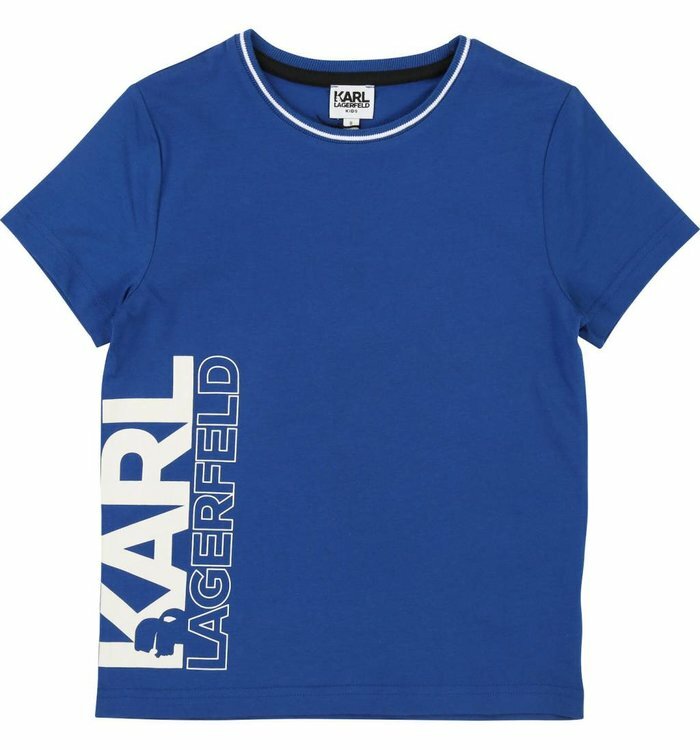 Royal blue t-shirt with white imprint. 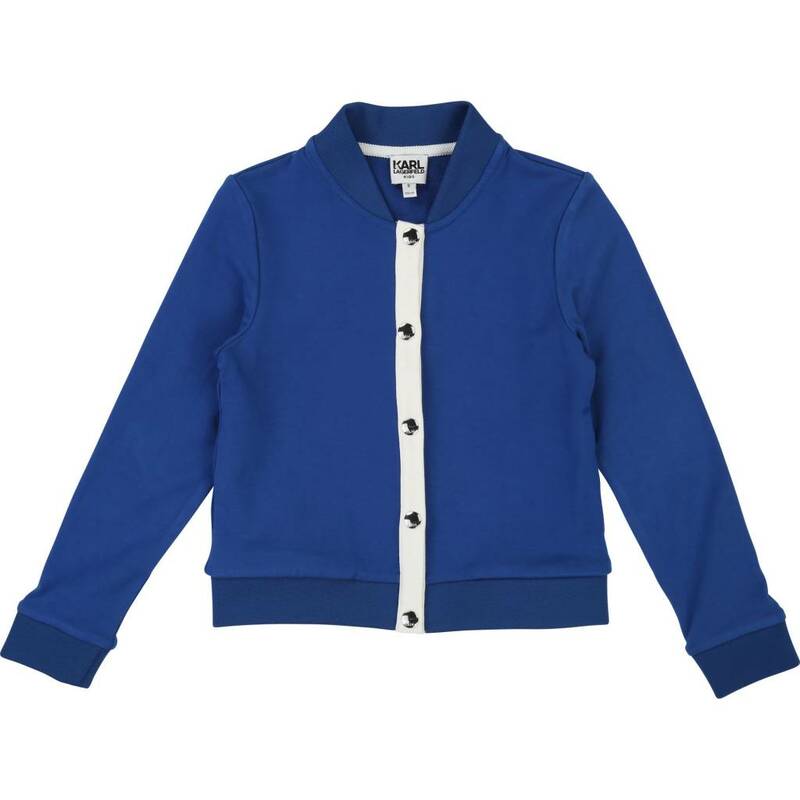 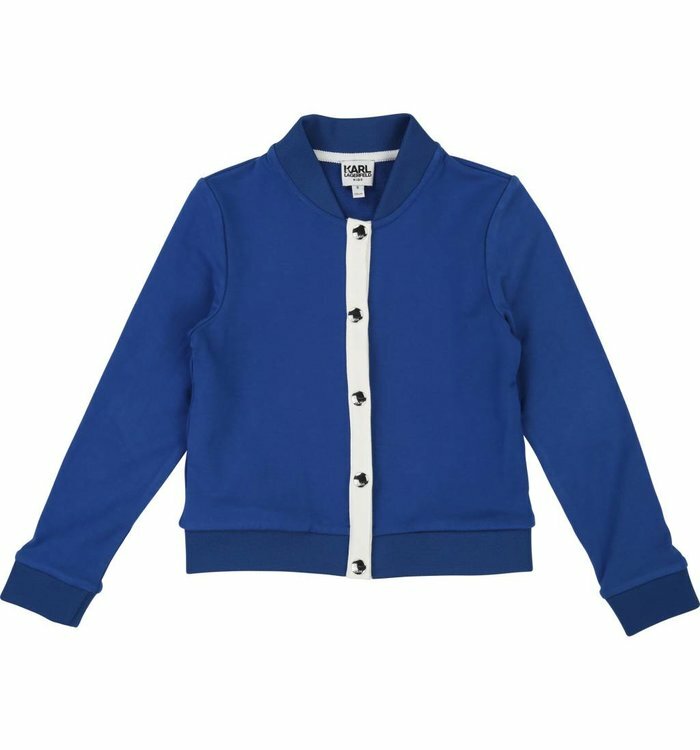 Royal blue long sleeve cardigan with silver snap buttons on the front. 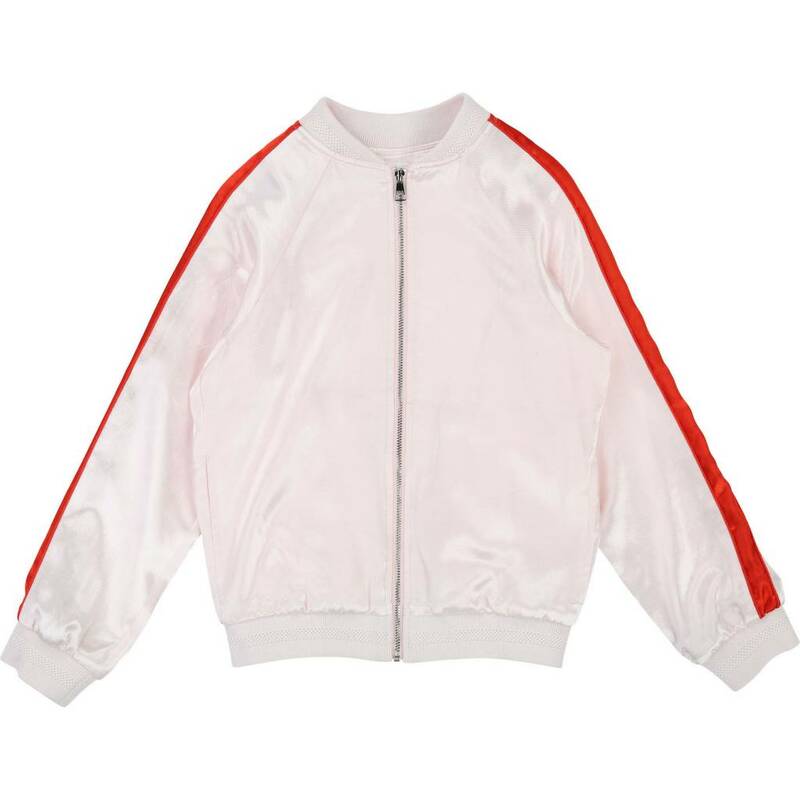 Light pink satin jacket with red stripes and a zipper on the front. Orange blouse with buttons at the neck. 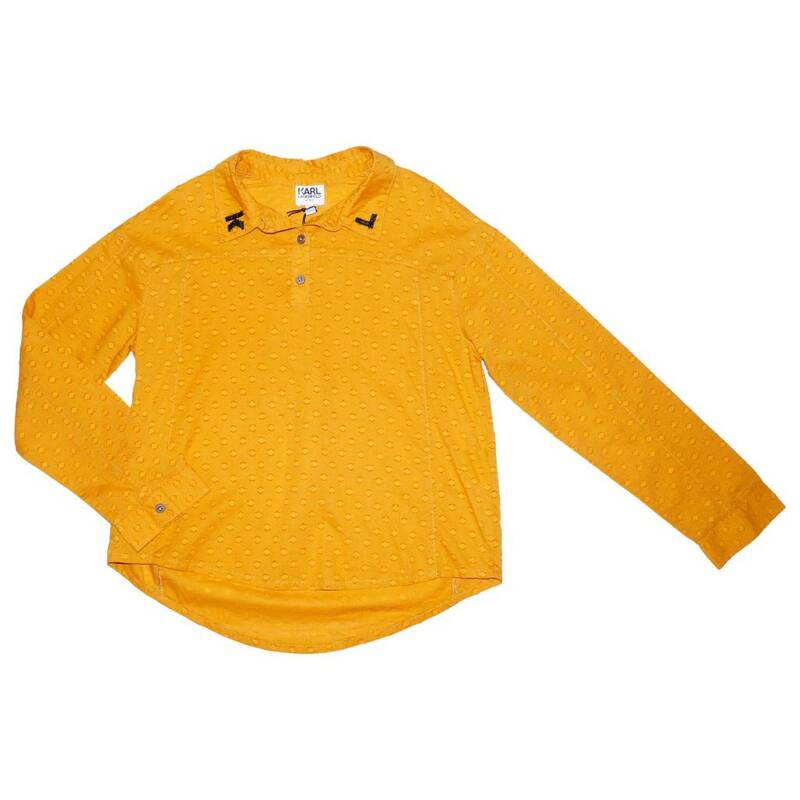 Green long sleeve sweater with imprint. 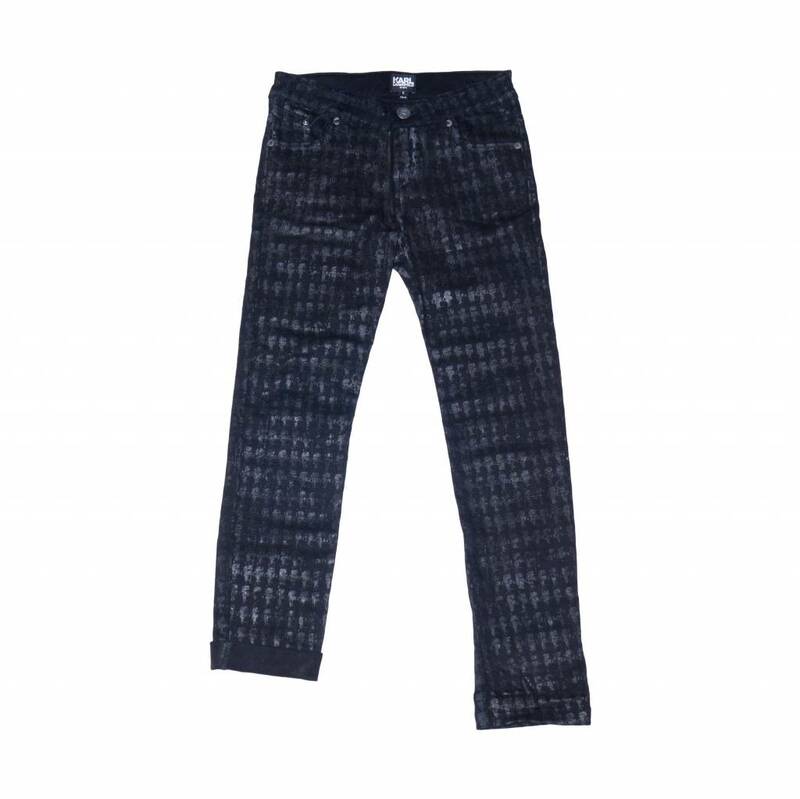 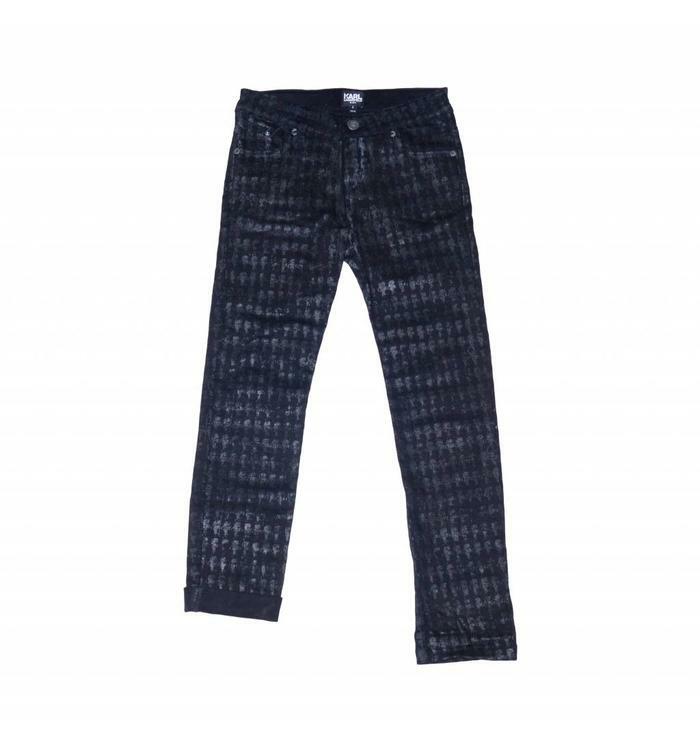 Black jeans with silver pattern and ajustable waist.